At the recent VMworld event in San Francisco, VMware showcased the power and commitment of its unrivaled Partner Network to enable business transformation through innovation, technology, and expertise. This message, and the graphic tools that support it, are the results of our work with VMware to position its Partner Network as a uniquely aligned business and technology ecosystem, “collectively committed to business transformation”. With over 50,000 partners in its ecosystem, VMware required a powerful, yet simple message that could be adopted and translated across thousands of client relationships. The notion of being in a collective effort to transform business was a unique differentiator for thePartner Network. When supported by leading technology and continuous innovation, this story became highly compelling, aspirational and sustainable for both network participants and the customers they serve. One of the most motivational aspects of this simple strategy was the number of ways it could be communicated, broadly or specifically. From giveaways to group events, VMware has begun investing in telling the story of its Partner Network, to increase value for participants and customers around the world. Those words ring true in today’s marketplace. Having a corporate brand strategy is essential for a business, but it is not enough if the enterprise is unwilling to embrace change and modify behaviors to align with customers’ needs, to keep the brand relevant. Two stalwarts of the consumer products industry have recently suffered the fallout of the strategy/culture collision, and yet another appears to be facing a similar fate. Kodak recently filed bankruptcy, Sony posted its worst annual operating loss in company history, and now Best Buy is on the ropes with a huge first-quarter loss. Neither Kodak nor Sony was ambivalent about changing times. Both companies made strong statements about where they needed to go, yet neither appeared prepared to steer their corporate cultures in that direction. On the other hand, Best Buy continues to cling to the culture that earned the retail giant its reputation of a big-box powerhouse in the 1990s, ignoring major changes in consumer buying habits in the process. Kodak’s downfall was blamed on its inability to make the leap to digital media. But Kodak has been positioning itself as a digital imaging company for more than a decade. Why was it unsuccessful? Because at its core, Kodak is a chemical company whose culture embraced film coatings and processing. When digital media came along, Kodak rebranded itself as a digital imaging company, but the move took it further away from its chemistry-based roots, and company culture could not adapt. The Sony brand faces similar challenges. Sony has spent billions of dollars marketing itself as an entertainment company, yet has not been able to make the transition in the eyes of the consumer or its employees, who still see it as a manufacturer of premium hardware. Best Buy may be next. The culture of the company is deeply rooted in consumer choice and selection at its retail stores, but it is exactly this choice that dooms the company; consumers now choose to buy their movies, music, and electronic equipment online. They no longer comparison shop in stores, they comparison shop on the internet, and Best Buy is not a value leader in online sales. In contrast with these companies is Amazon. Amazon has grown from the world’s largest bookstore into the world’s largest retailer, and is now extending its brand to hardware (the Kindle e-Reader) and cloud computing and storage. Since it began, Amazon’s brand strategy and organizational culture have always been aligned with customer satisfaction, scale, and delivery. This enables them to remain a global player, even in changing economic conditions. We believe strongly in brand-driven business strategy. What that means is, a solid corporate brand strategy should inspire a company to be have in a certain way. This requires cultural resonance. If those new behaviors aren’t imbued or embraced, the strategy will likely fail. The longevity of a brand relies on a culture within the corporation that thrives on meeting customers’ needs at every level, while at the same time retaining core values. 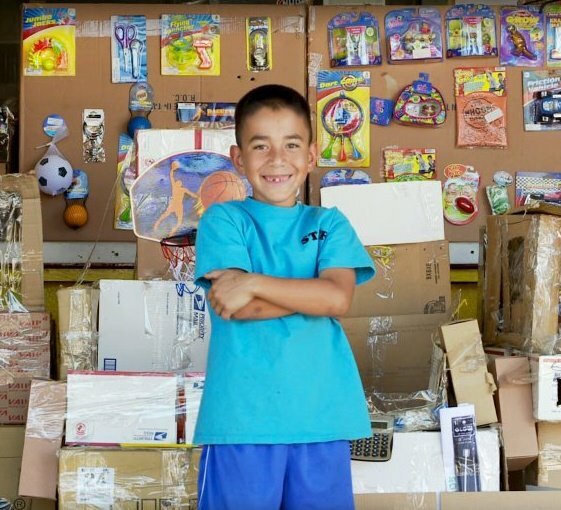 This week’s viral sensation was Caine’s Arcade, the story of 9 year-old boy who built a cardboard arcade in his dad’s used auto parts store. It’s the kind of story great writers conjure – except it’s true, and it provides great lessons for storytelling and branding. 1. For a story to connect, it needs to be real. 9 year-old kid, summer vacation, nothing to do, so he builds an elaborate arcade out of cardboard in his dad’s store. He doesn’t mope about. When Caine wants a claw game, his dad says, “why don’t you build one”? So Caine builds a claw game. No helicopter parents. No carefully crafted messages. No Disney production value. Just a real kid, with a great big imagination and incredible focus. And when the arcade becomes real to a bigger community it’s much more than a flash mob event, it’s a story of vision, perseverance, and imagination. If there’d been any question of Caine’s authenticity – if it looked like dad did the work, or that the video had been overtly staged, the story would fall flat. 2. For a story to connect, it needs to be told. What are the odds that a filmmaker would be Cain’s first customer? Pretty small. He was lucky. And, to be honest, the filmmaker was pretty lucky too. You don’t find authentic, simple stories everyday. That’s why they’re so powerful when you do find them. For a story to connect with a bigger audience, it needs legs. While the subject is one boy and his homemade project, it’s bigger than just that. It’s about believing in a dream despite all obstacles. Brands are rarely lucky enough to have their story “discovered,” and overt attempts to capture attention often ring hollow. The greatest brands figure out how to connect with authenticity, telling their stories in a way that resonates and enables others to embrace them. 3. For a story to have impact, it needs to engage. Great stories engage their audience and ask something from them in return. The genius of Caine’s Arcade is that it asks for you to believe in small miracles and the simple genius of a 9 year-old. It has worked, and quickly – people have donated over $140,000 to Caine’s college fund. He didn’t ask for it. It wasn’t what he set out to do. But his story inspired people to action. Brand stories are about more than selling or promoting a product or service – they inspire and engage their audience to believe in something. Caine’s Arcade is a great story. It gives us hope that imagination and perseverance will prevail in an often cynical and manufactured world. It also is a great lesson that the best stories are real, easy to tell, and inspiring.